FC Barcelona Lassa won at Liberbank Cuenca in a match where they had to work hard throughout to obtain the final result (20-35). Xavi Pascual's side found it difficult to put the game to bed, but always led on the scoreboard. Recoveries, ball retention and rapid transitions, as well as Gonzalo Pérez de Vargas' numerous saves, were decisive. Goals from N'Guessan and Ariño in the first seconds of the match saw the visitors quickly up 0-2. Ten minutes later, thanks in large part to Gonzalo in the Barça goal, the score moved on to 2-6. However, despite the favourable partial, the Catalans were then kept out for a full five minutes by a wonderful defensive effort from the hosts (5-7, min.13). At half-time, Barça led 12-16, and stopping Cuenca from scoring for 10 minutes of the second-half ensured that Xavi Pascual's team would emerge victorious. Dolenec was the top scorer (six) in a match that was Barça's 30th consecutive win this season in all competitions. Balonmano Ciudad Encantada: Kilian G. Ramírez, David Mendoza (-), Leo Dutra (6), Santiago Baronetto (-), Thiago Alves (5), Adrian Nolasco (1), Angel Montoro (1) –starters- Óscar Río (-), Natan Suárez (2), Eskericic (4), Moscariello (1), Doldan (-), Sergio López (-). 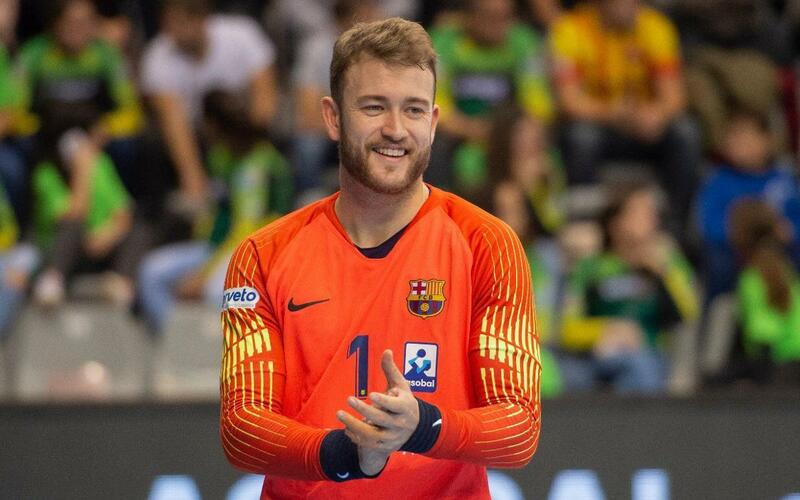 Barça Lassa: Gonzalo, Entrerríos (2), Aitor Ariño (3), N’Guessan (1), Aleix Gómez (2), Dika Mem (5), Ludovic Fabregas (-) –starters- Dolenec (6), Syprzak (4), Lasse Andersson (1), Víctor Tomàs (4), Àlex Pascual (3), Gilberto Duarte (3), Juri Knorr (-), Thiagus Petrus (1). Breakdown: 1-3, 2-6, 5-7, 7-10, 9-14, 12-16 (half-time), 14-19, 16-19, 16-24, 17-27, 19-31, 20-35 (final). Officials: Jesús Álvarez Menéndez, José Carlos Friera Cavada.